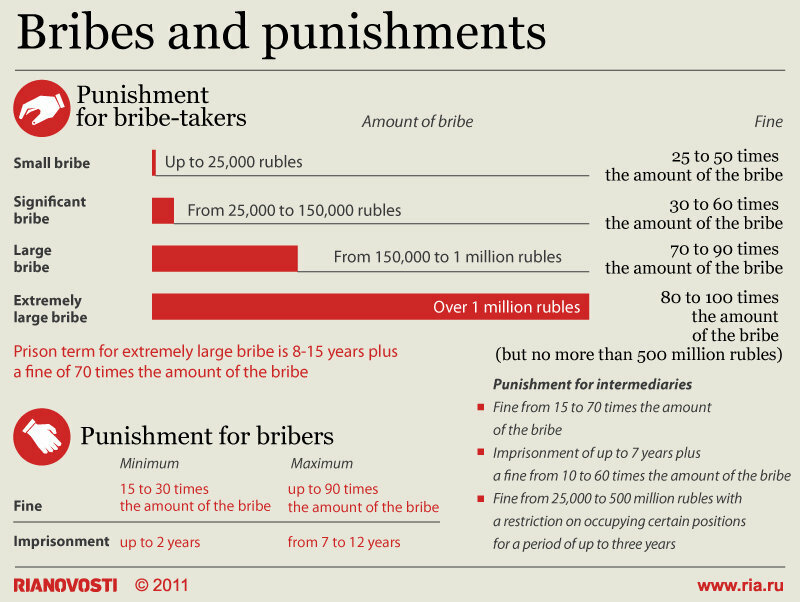 Bribes and punishments | Russian Legal Information Agency (RAPSI). The lower house of the Russian parliament has recently approved a bill increasing fines for bribes by up to 100 times the amount of the bribe given or accepted. The offer or promise of mediation in bribe-taking, including the physical handing over of the bribe, carries a fine of 25,000 to 500 million rubles ($880 to $18 million) combined with a work ban of up to three years.